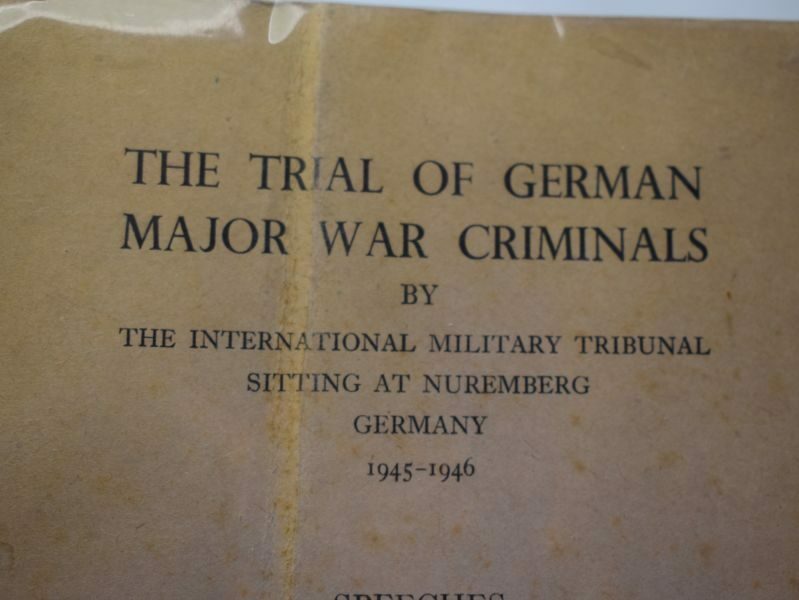 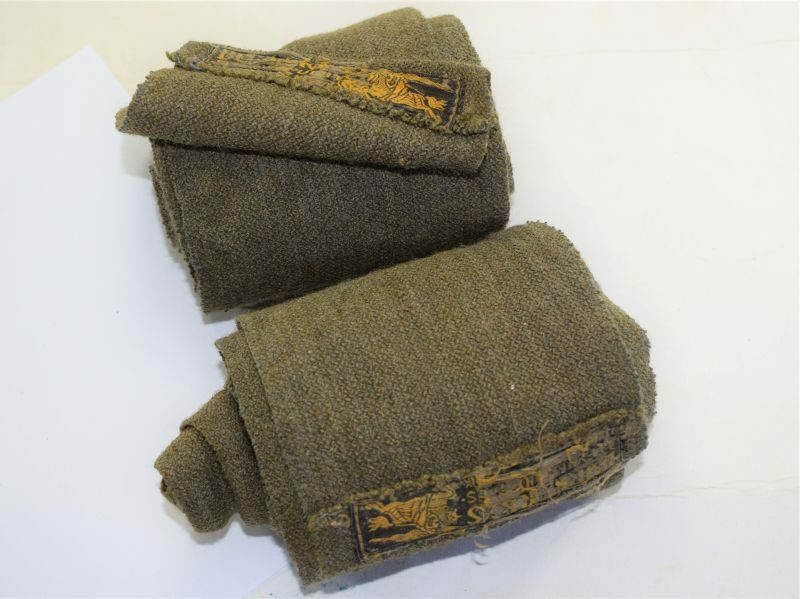 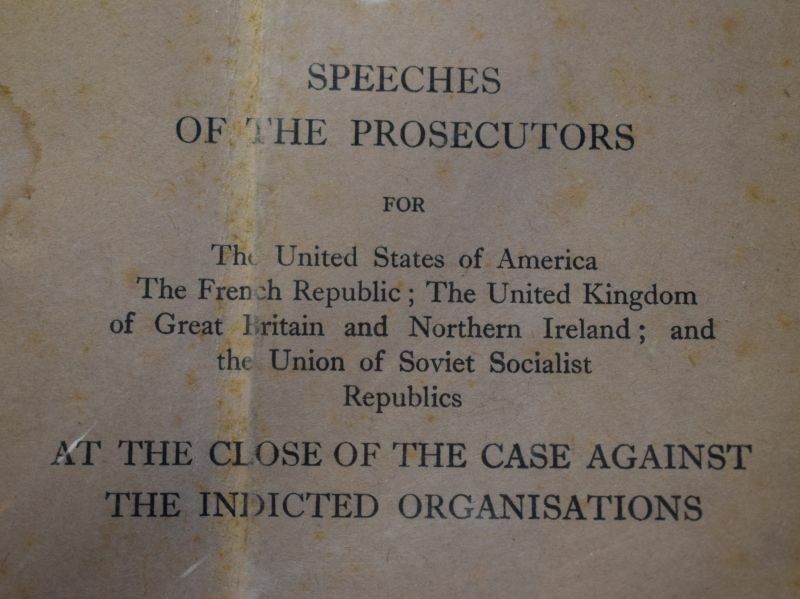 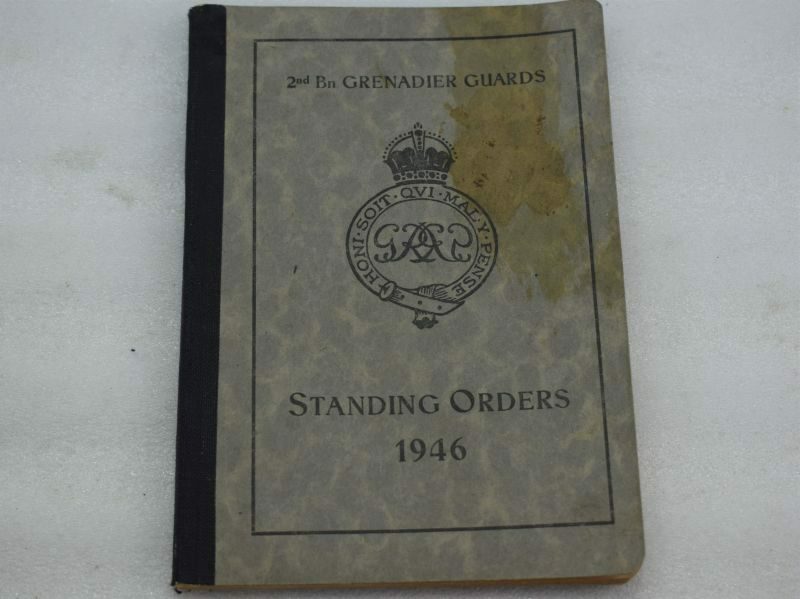 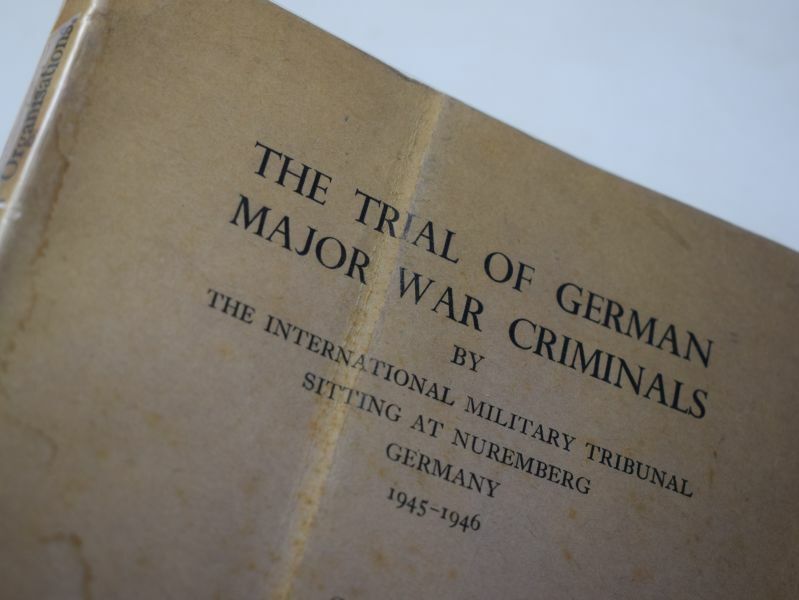 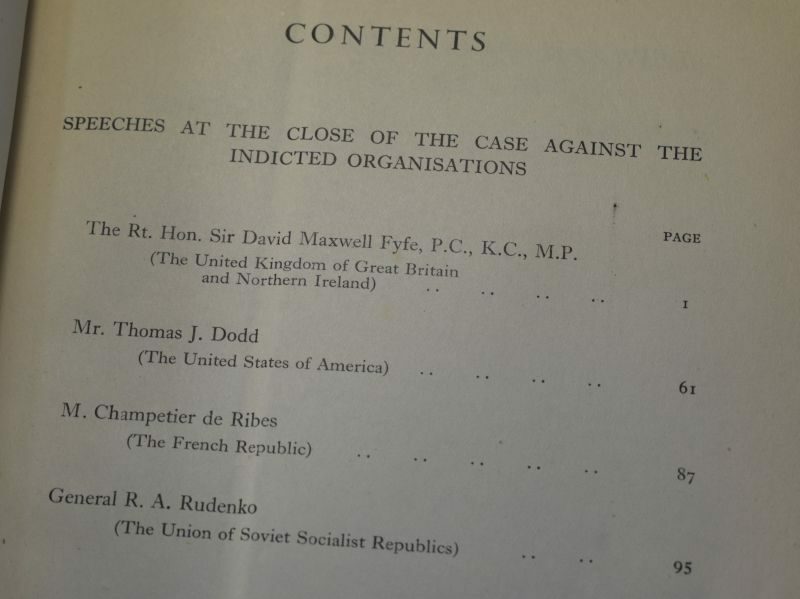 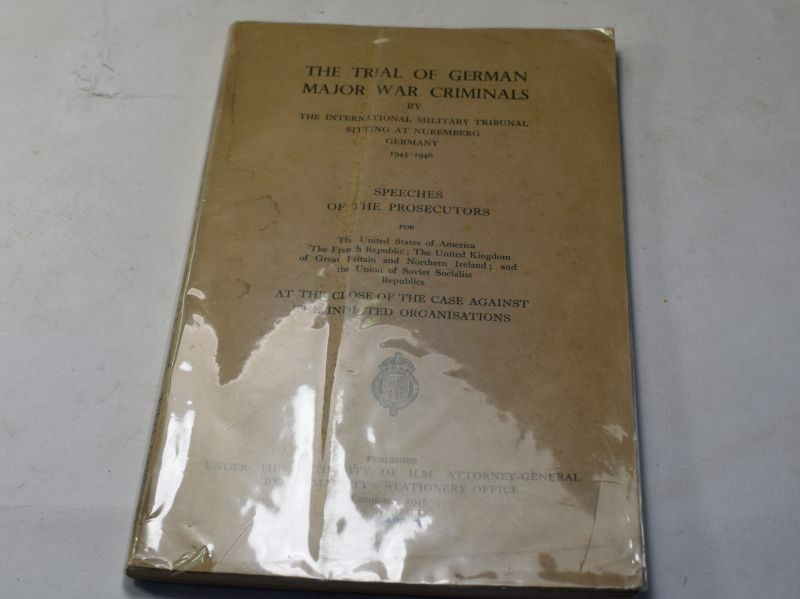 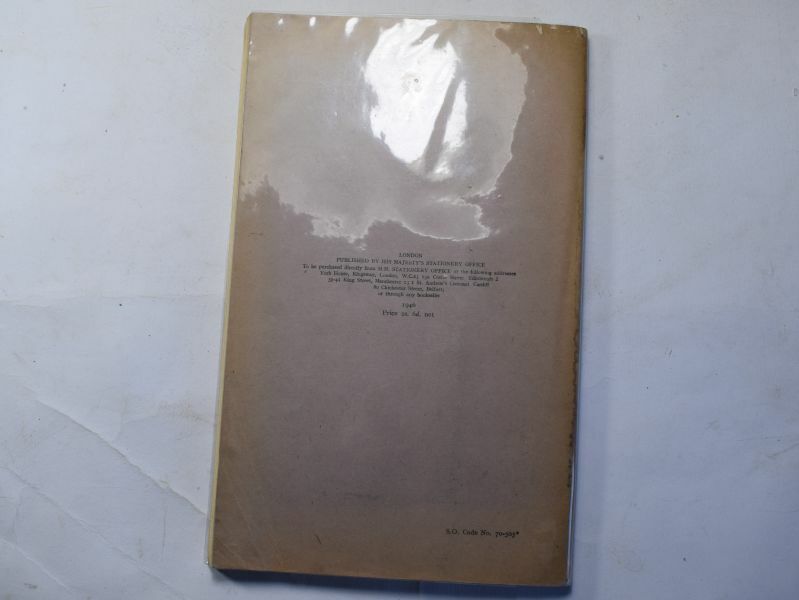 An original HMSO publication “The Trial of German Major War Criminals by The international Military Tribunal Sitting At Nuremberg Germany 1945-46 Speeches of The Prosecutors” it is in good order and has a printing date of 1946, the covers show marks and stains but good and strong, the front shows a crease all of the way down the front which could probably be flattened out with time. 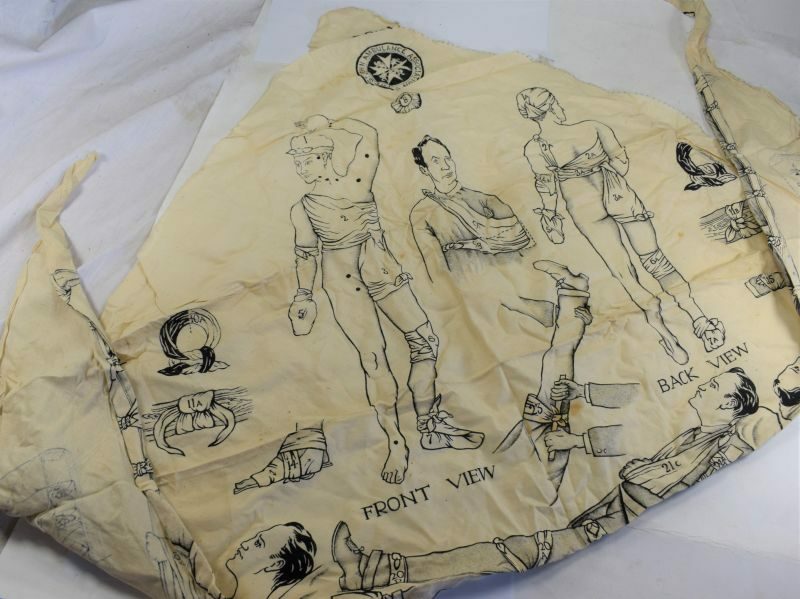 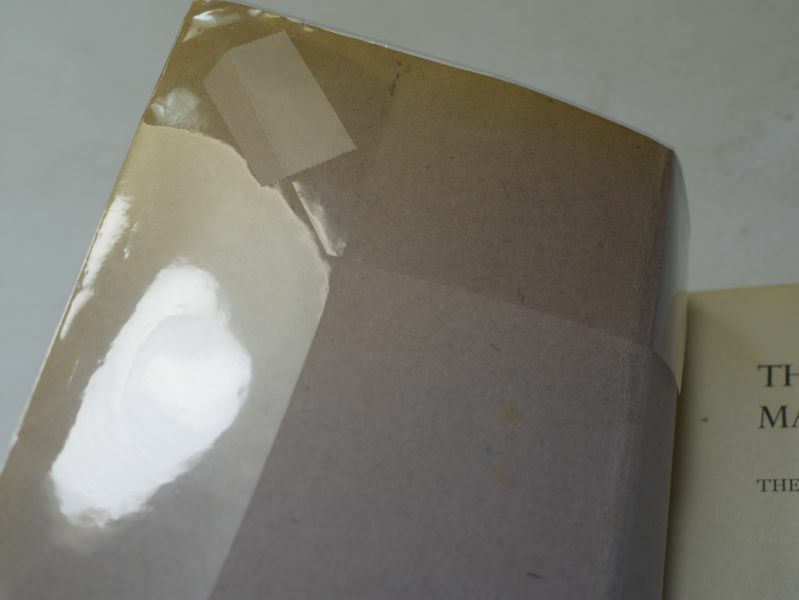 Someone has added a removeable cellophane cover which is loos and easily removed. 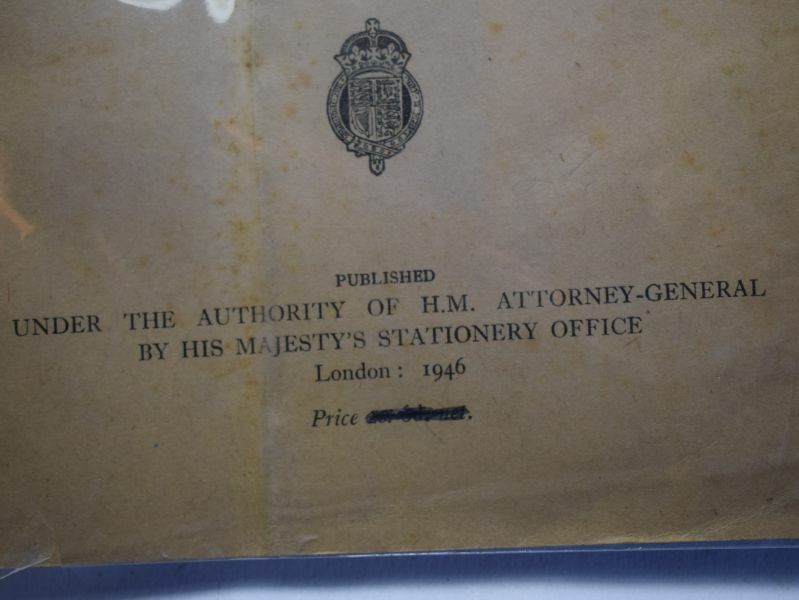 The contents is in excellent order.